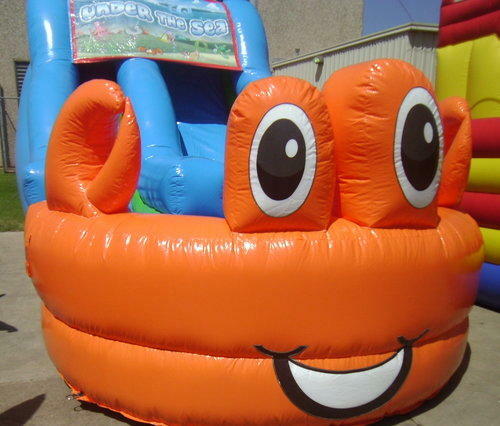 Something fishy is going on with the Under the Sea Inflatable slide. 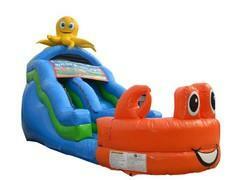 Make your next party or event an undersea adventure with this silly sea life-themed slide. 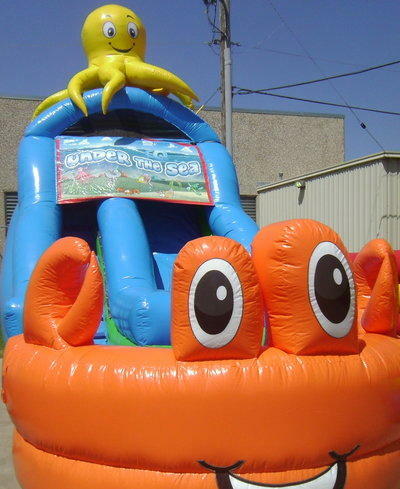 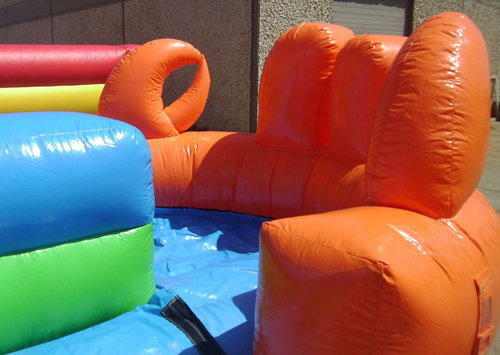 A friendly orange crab with waving crab claws welcomes your guests into this colorful blue and green slide. 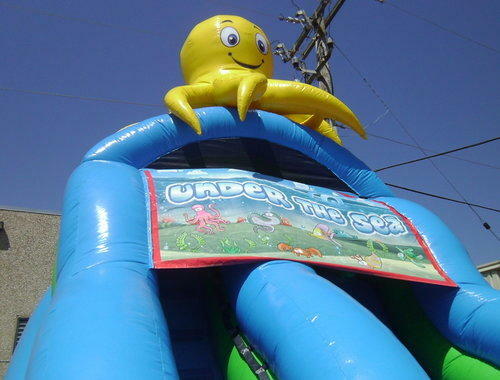 And a big yellow octopus sits stop the slide waving his tentacles at all the sliders!